Tata Docomo is the one of the most popular 3G service provider in India offers 3G data at stunning speed and cheaper rates. Personally I am also using Tata Docomo 3G and their service is awesome. This article will teaches you to activate Docomo 3G in your smartphone along with APN settings for manual 3G configuration if automatic method fails. 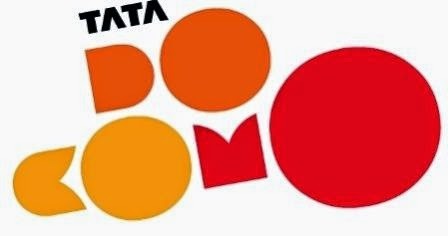 This article also provides you the list of all latest Tata Docomo 3G packs as additional information for your future reference. To activate 2G /GPRS in your Tata Docomo mobile – Send SMS ‘INTERNET’ to 52270 and follow the above instructions same as 3G activation. To convert your Tata Docomo 2G to 3G send SMS 3G LIFE to 53333 or follow the first step given in this blog post. If the above method doesn't work you can also activate Tata Docomo 3G service manually by accessing your Smartphone’s APN settings. To open APN settings in your smartphone Please follow the given root map. After opening the APN settings in your smartphone, enter the following details in their respective fields without any mistake and save the APN settings. Restart your smartphone and start enjoying Tata Docomo 3G services. Please do not make any changes in the other fields of APN settings. If you have any query please feel free to ask us by commenting below.